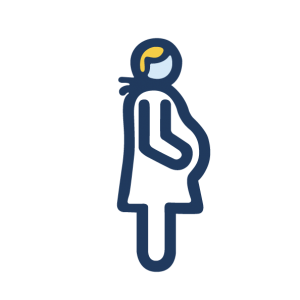 During pregnancy, hormonal and behavioral changes can impact your mouth. It is important to be aware of these changes in order to protect your teeth and oral health. What to do: Make sure you have a home care routine that consists of brushing your teeth at least twice a day with a fluoride-containing toothpaste. Try to brush after each meal and especially before going to bed. Clean between your teeth daily with dental floss. Rinse daily with a fluoride-containing mouthwash. Try to stick to snacks like fresh fruits and vegetables, and drink plenty of water between meals. What to do: If you are already receiving care for this condition, continue to see your dentist regularly – If you notice symptoms worsening, see your dentist for an examination, your dentist will provide you with deeper cleanings to bring your gums back to health and avoid any serious complications.